When I was 10 years old I went with my parent to Disneyland and had a marvelous time. As memory holds the rides were elaborate in a way that the local summer fair back home could only dream of. Fast forward 25 years and logic would say they that the rides must have just gotten better. 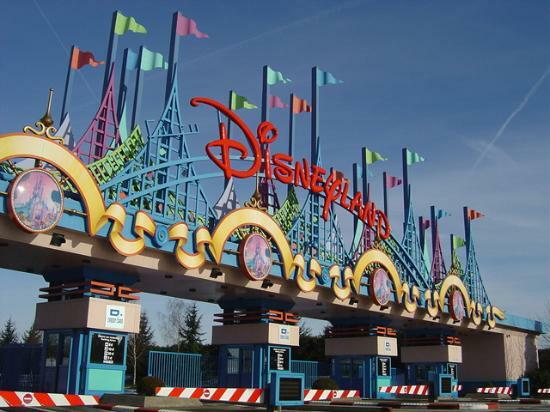 Maybe Disneyland isn’t for the usual traveler – puffed up with a hint of Traveler pretence – but hey if you’re in Los Angeles a day at Disneyland could be a fun part of the experience. When you do you’ll be happy to know which the best rides to take are. Probably Disney lands most iconic ride, and yes it far pre dates the Johnny Depp films being first erected in 1967, Pirates of the Caribbean still thrills park goers. What is most interesting in this ride is a full fledged Pirate narrative being played out before your eyes. By the rides end you feel yourself like one of the Pirates lackeys helping load gold on to the ship. Again like Pirates of the Caribbean this is a ride that has defined Disneyland for generations. This haunted house, at times silly… but other times eerie, came on the heels of a 1970’s burst of creative energy at the park for ride creation. This ride is, and probably always will be, a favourite with younger kids – 8 to 12 years old. Moving Disney into the new millennium this ride show cases the unconquerable Dr Indiana Jones using innovative Enhanced Motion Vehicles and highly elaborate sets. Participants of the ride will feel like they too are in the latest adventure of the intrepid archaeologist. The Tower of Terror, like the Indian Jones Adventure, is another example of a modern day classic Disney theme park attraction. Putting together a fiendishly scary sub plot from the cult television series “The Twilight Zone” riders see a narrative unfold while also being subjected to freefalls, dazzling effects, and shocking surprises. This is definitely a ride for the more mature park goers. Using the much loved modern story of “Finding Nemo” riders of Finding Nemo Submarine Voyage are submerged into Nemo’s aquatic wonderland. Combining deft storytelling and a wonderful Imagineering effects the submarine brings you right under the sea with Nemo for a fun, light hearted experience.